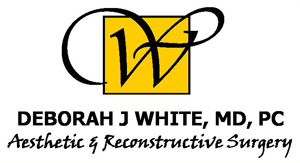 Trust Scottsdale Plastic Surgeon Deborah White, M.D. As a woman, Dr. Deborah White understands the desire to look your best. Aging, genetics, and the stress of everyday life can all affect the way you look and feel, but with the help of modern technology, there are a variety of ways to revitalize your appearance so that the image in the mirror reflects the image you have of yourself. Dr. White combines her skills and experience with a delicate touch to help you on your path to total beauty. Whether you are interested in a complete aesthetic make over or simply fine-tuning your natural attributes, Dr. White will give you the information you need to help you achieve your aesthetic goals. Dr. White employs both surgical and non-surgical techniques in her comfortable, state-of-the-art surgical facility in beautiful Scottsdale, Arizona. Dr. White is committed to helping you look and feel your best, and is always available to answer your questions.